Taylored Expressions September Sneak Peeks: Big Thanks! Hello again! 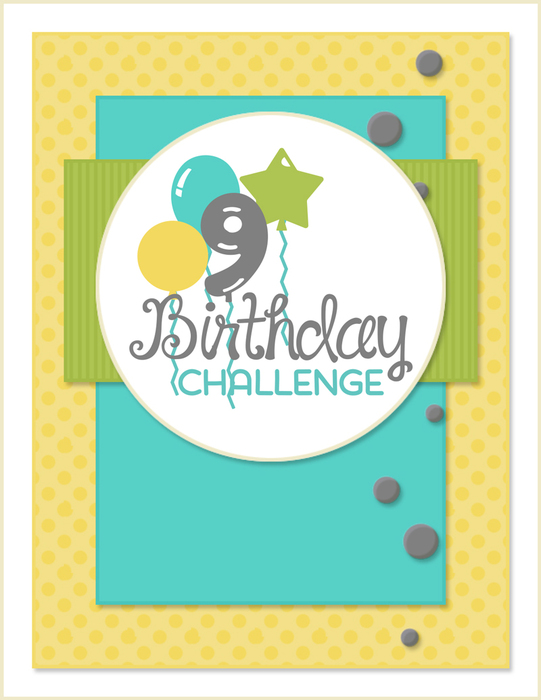 It's Day 3 of sneak peeks from Taylored Expressions, and we are rounding out our 9th birthday celebration by having a little fun with a scavenger hunt! Head over to the TE Blog where you can read the clues and then hop around the design team blogs to find the answers. We'll draw one lucky winner from among all correct guesses to win a fabulous prize package! And don't forget, today's the last day to enter our 9th birthday sketch challenge for your chance to win Taylor's Favorite Things or an opportunity to be the next Guest Designer at TE. Click HERE for all the details! 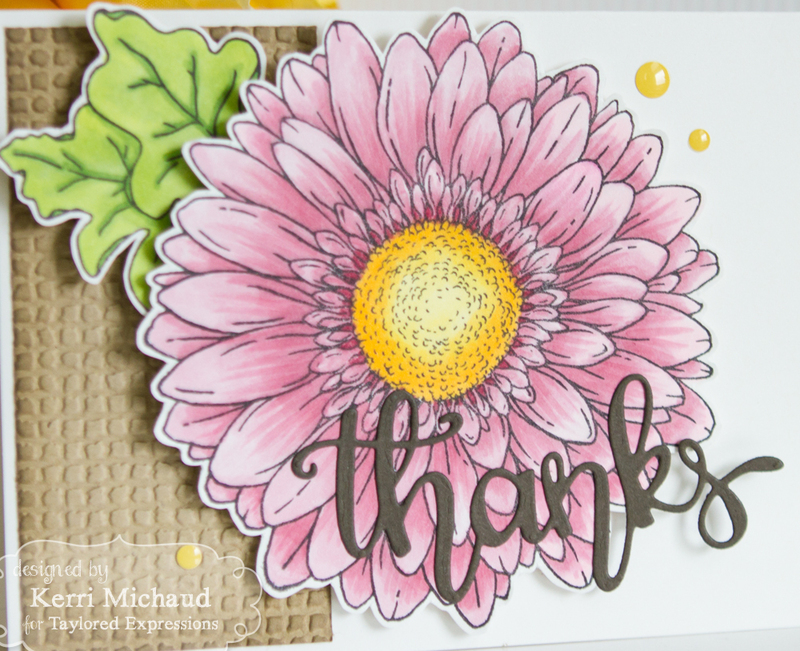 For my first peek today, I used the GORGEOUS new Big Blooms-Daisy Stamp Set! I am LOVING the new large floral images! 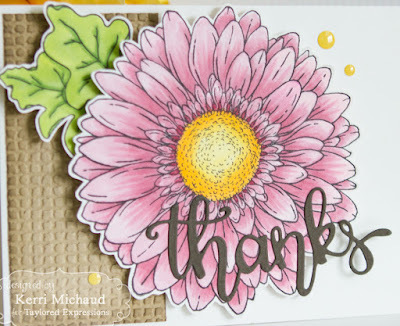 I stamped the daisy and leaves with Oreo Ink and colored with Copic Markers. I hand cut the images out. For the base I simply used some Sugar Cube cs and some Toffee cs embossed with the Burlap Embossing Folder. I sponged around the embossed panel with Toffee Ink and then popped my flower up with Foam Tape over it. 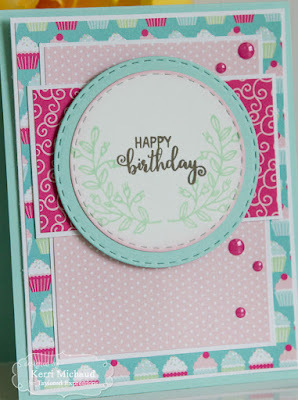 I added the sentiment cut with the new Thanks Script Die out of Mocha cs. To finish it off I added some Lemon Meringue Enamel Shapes. So beautiful! 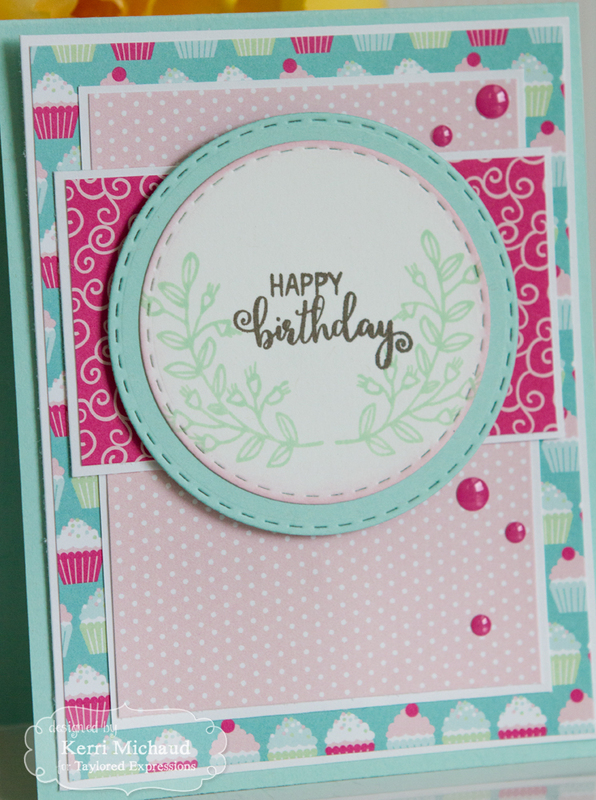 For my second project, I used the new Laurels Stamp Set along with the 9th Birthday Sketch to make a pretty birthday card. This set is so perfect for making card sets! To start, I stamped the leaves with Mint Julep Ink and using the Mini Misti Tool to align, I stamped the birthday sentiment with Mocha Ink. I cut the leaves and sentiment out with a Stitched Circle Stacklets Die and sponged around the edges with Cupcake Ink. I then layered that over another circle cut with Sprinkles cs. I used dp from the Hello Happiness 6x6 Paper Pack for the rest of my layers and to finish it off I added some Lollipop Enamel Shapes. 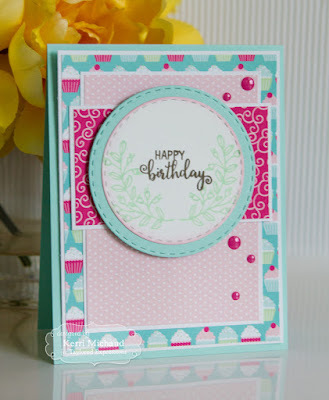 Such a quick and easy card! You can help Taylored Expressions celebrate nine years of sharing joy by creating a card using this fabulous sketch! Then be sure to enter for a chance to win one of nine amazing prize packs of Taylor’s nine favorite crafty things each valued at over $115. Best of all, one lucky winner will be chosen by Taylor to join the Creative Team as a Guest Designer for the October Release and will receive an incredible prize package of the newest TE goodies! Click HERE for all the details! Plus, it wouldn't be a party without a favor! 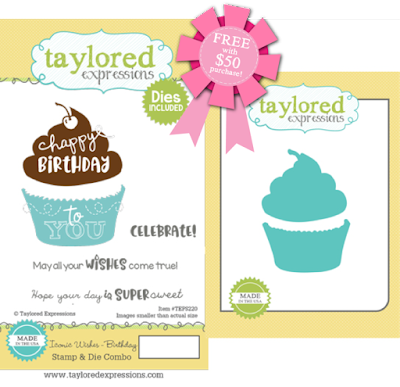 So for a limited time, when you spend $50 or more at the TE Web Store, you’ll earn this super sweet Iconic Wishes - Birthday stamp & die combo FREE! Very pretty card, Kerri! I love the bright color and the simplicity in the way you used the sketch. Great cards, love that big bloom card, so pretty!! Ilove the beautiful pastels you used! Those papers are gorgeous! I love love your daisy Thanks card!! 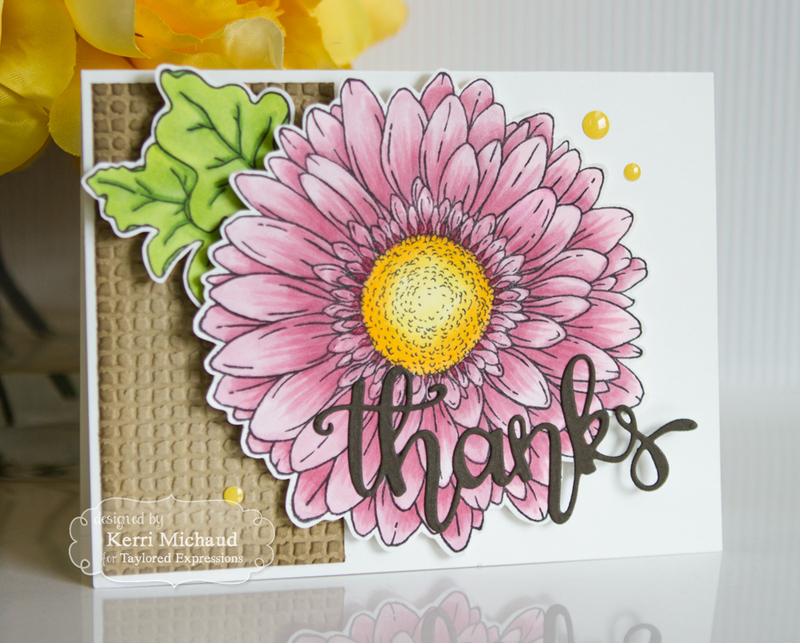 Beautiful big bloom with your coloring & cutting and pretty layout!! OMG-the daisy card is beautiful! I'm always so jealous when I see a colored image that is so beautifully done. I never like my colored designs. Flowers are hard to color but this daisy just jumps right out of the page. The laurels stamp is sooo pretty-- love the pink on the card--great patterned papers!! Love the use of the laurel stamps - such a great way to frame the sentiment! Your coloring is beautiful and I'm in awe of your first card. It should be frame and hung in a place of honor! Pretty cards! Love that big flower!